Your child might visit the school library but when was the last time you visited your local one? Being able to pick and choose different books can really create a sense of excitement and interest in reading for children. Libraries often hold story time sessions where staff read to children, so look out for those too. Your local librarian will be able to help you pick out appropriate books for your child or offer recommendations as well. Reading is about more than just books. Encourage your child to read street signs, food packets, menus and magazines – it’s all literature. 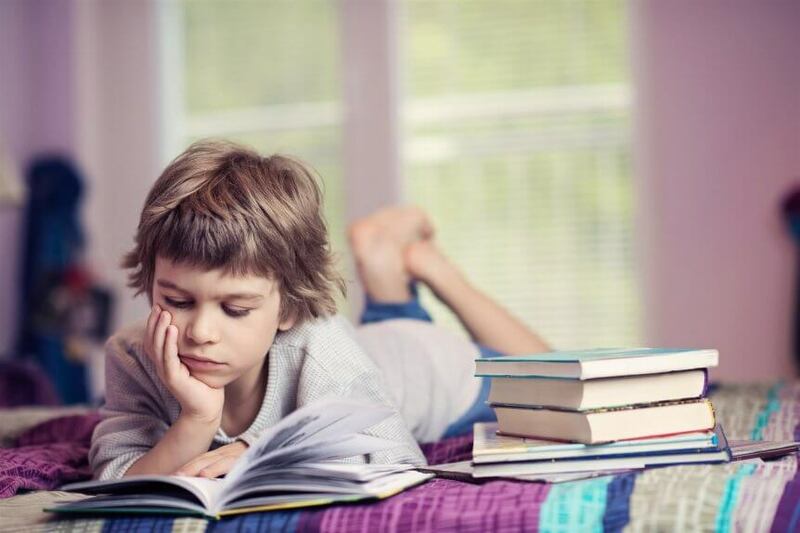 You can also get e-books or interactive books to help keep your child’s attention if they’re struggling to find excitement with reading traditional books. Children are more likely to love reading if they see adults they care about reading too. You might not love to read yourself but what about teachers, before and after school care workers, friends or relatives? Let your child see other adults reading, listen to them talking about books and discuss with them how everyone enjoys reading different things. Try not to censor what your child reads too much. You might not understand their need to keep re-reading the same book over and over again, but don’t discourage it. Reading in any form is great for your child’s development – whether they’re reading books, magazines, cartoons or jokes, it’s all building a love of language and the written word. Helping your child to love reading will set them up for life. Expose them to different literature, be a role model and let them read as much as they want to.